Shred your turkey and set it aside in a large bowl. Cook the sausage and lay it on a paper towel to drain the extra grease, then place it in the same bowl as the turkey. Sauté the onion in olive oil for about 5 minutes until translucent. Add in the mushrooms and water chestnuts and continue to cook for a few minutes. Pour this mixture into the bowl with the chicken and sausage. Add the rice, cream of celery soup, mayo, salt and pepper. Mix all together and stir in one cup of the shredded cheese. Spread in a large casserole dish and top with the remaining cheese. Bake at 350° for about 45 minutes. Natalie posts some great recipes, and this was no exception! My father-in-law is having surgery today so I wanted to make them something so they'd have one less thing to worry about this week while he's recovering. I had some left over so I baked it for Hunter and I in a smaller casserole dish and it was SO yummy. And it was super easy to make so that's a plus! Natalie used chicken but they only had turkey when I went to the store. The turkey worked out just fine if you find yourself in the same situation. The water chestnuts are not an ingredient to skip! 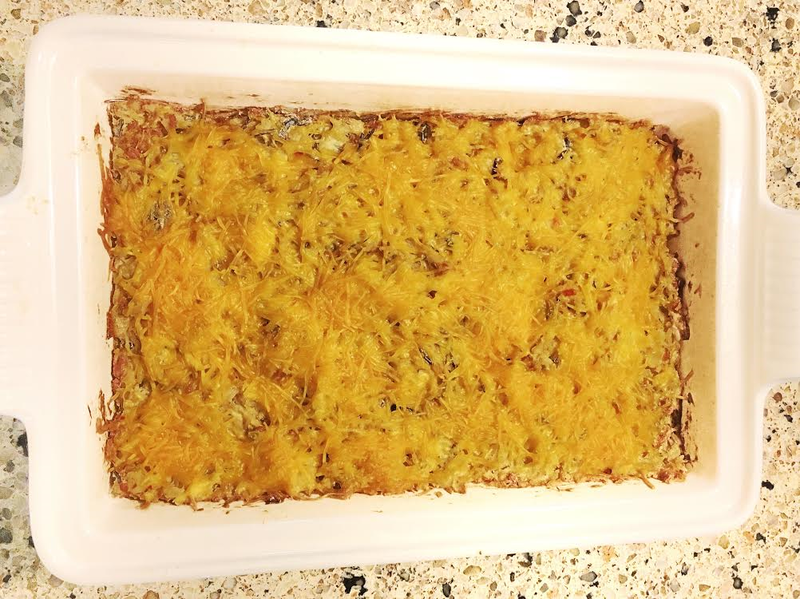 They add a nice crunchiness to the casserole. This is my all time favorite casserole dish, btw.